Darwin Airline becomes Etihad regional: What is Etihad up to in Europe? Last summer we published a profile of Darwin Airline, the Swiss regional airline with big ambitions. 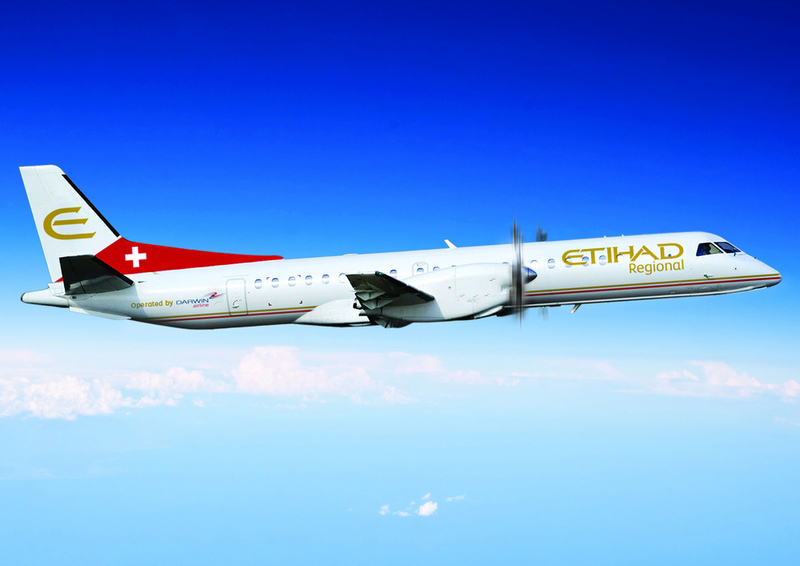 Well, it seems that, indeed, Darwin Airline is moving into a bigger league, but not alone...Etihad is adding the Swiss carrier to its "constellation" of affiliate airlines by buying a third of its shares. What next for Darwin Airline? All points to the Swiss airline becoming a feeder for some of Etihad's European gateways, mainly Zurich, a new destination in Etihad's network, but surely other cities too. What is particularly interesting in this acquistion is that Darwin Airline will adopt Etihad's branding and will, in fact, be renamed as "Etihad Regional". In this regard, Etihad is following quite a different strategy from the other two large Gulf mega-carriers, Emirates and Qatar Airways, that are reaching all points directly from their own hubs. I am wondering what is the feeder potential of these operations, though...even if Etihad Regional could provide a high degree of capilarity through Europe's smaller markets feeding into Etihad long haul operations... a passenger flying from, let's say, Leipzig to Mumbai, flying via Zurich first and then Abu Dhabi, would still be required to make two stops while most European second and even third-tier cities can link to most of the World's main airports with just one stopover. There might still be some city pairs that would require two stopovers, let's say Leipzig to Melbourne, but I wonder whether these are very small niche markets. What could be more interesting here is how all these different Etihad affiliates (Air Berlin, Air Serbia, Darwin Airline, even Aer Lingus) can be brought together, if not "de iure" (airline ownership rules are not liberalized), at least "de facto", having all these different airlines acting in a coordinated way as if they were one big airline. What's more, these European airlines could also act as a giant billboard to make European travelers acquainted with the Etihad brand. By investing relatively modest sums of money (at least for Abu Dhabi's standards!) in struggling European airlines Etihad might be getting at the same time some feeder traffic, brand recognition, a marketing platform for the broader Etihad brand (see, for example, the acquisition of Air Berlin's frequent flier programme by Etihad) and, of course, an option of any upside that derives from these airlines actually becoming profitable in the near future (which kind of a self-fulfilling outcome, as it would itself depends in great measure on Etihad's support).